Blurb Description: Why would a girl who has everything want to run away and never be found? I try not to read reviews of a book before I begin them, especially for review copies, because having a pre-formed opinion isn’t something that helps me go into a book unbiased. Which is basically me saying I don’t read reviews before I read a book because I like the experience to be all mine. I had a friend borrow this book before I read it, and once she was done, she very loudly projected her opinions onto me. So, despite trying not to, I went into this book with some semblance of the story already in my head, along with thoughts about it. I was SO SO excited when a LOVELY publicist at Rock the Boat UK contacted me asking whether I’d be interested in reading this book because YES! I ADORED Olivia Levez’s debut, The Island, as it kept me company on a fourteen hour train journey and I even had the AMAZING Olivia Levez on my blog last year. Basically, I’m a fan. While The Circus was a GOOD BOOK, it wasn’t as good as The Island. 1. I was slightly disappointed that the actual part of Willow BEING in the Circus was so little. Rather The Circus. I hoped that I’d be surrounded with unique characters with even better circus acts, but that was not the case. 2. I liked Willow but NOT ONCE did I condone her running away from home or feel sympathetic for her. I understood that she was neglected a bit, but she lived this life of COMPLETE AND UTTER COMFORT that she really didn’t care for and threw away without a second thought. There are so many kids in the world who would be so grateful to have a fraction of what she does, but there was no appreciation for any of what she had. 3. One of the things I REALLY LOVED was Olivia’s writing style. It’s a very free spirited style of writing, like her main character. It captured the essence of a life without a home, life in a circus and the mind of a very live in the moment teenage girl REALLY REALLY WELL. 4. I don’t entirely know if I loved or hated Suze. I certainly understood her more than Willow, and I loved her ability to make costumes like they were magic, but there was nothing in particular that made me connect with her. I guess that she and I aren’t similar at all, and I couldn’t relate. 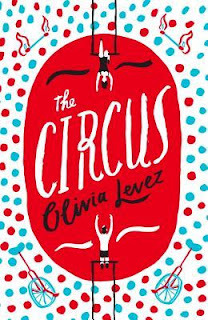 I CERTAINLY 1000% recommend getting lost in Olivia Levez’s writing style because she has a TRUE TALENT but if it came down to it, I would certainly pick The Island over The Circus. Still, this author is DEFINITELY one worth reading! 3.5 stars. YA book The Island is published by Rock the Boat, Oneworld. 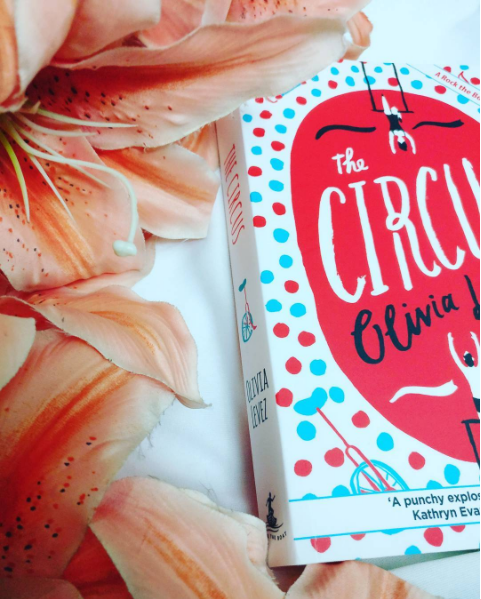 What are some of your favourite Circus filled books? Have you read Caraval or The Night Circus? What did you think of them? 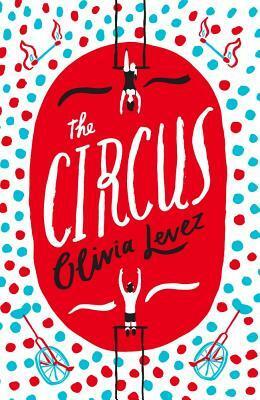 Have you read any of Olivia Levez's books before?